Originally published in 2006, this book provides an in-depth account of trophoblast: the tissue derived from the fertilised egg that nourishes and protects the developing fetus. The cells of the trophoblast have many unique qualities, and exhibit great variability across different species. It has a fascinating role in the development of the placenta and as a regulator during early growth of the embryo. These aspects are all fully covered as well as studies on why it is not rejected by the mother as 'foreign' tissue. Disorders of trophoblast during development also manifest themselves in several clinical conditions during pregnancy, including gestational trophoblastic disease and pre-eclampsia. 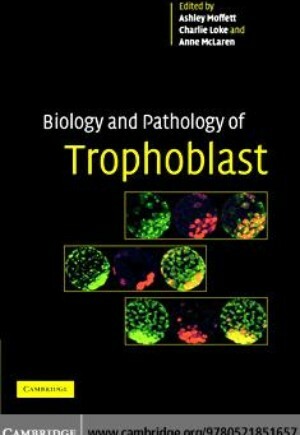 From stem cells through to epigenetics, implantation and X-chromosome inactivation, there is a lot to be learned about trophoblast, this volume provides a detailed summary of knowledge regarding the subject. Preface Charlie Loke; Chair's introduction Anne McLaren; 1. Trophoblast cell fate specification: discussion James Cross; 2. Stem cells: pluripotency and extraembryonic differentiation in the mouse Tilo Kunath; 3. Epigenetic regulation of trophoblast development P. Hajkova, S. E. Erhardt and M. A. Surani; 4. Regulation of X chromosome inactivation in relation to lineage allocation in early mouse embryogenesis Neil Brockdorff; 5. Gestational Trophoblastic disease R. A. Fisher and N. J. Sebire; 6. Trophoblast and the first trimester environment Graham J. Burton, Eric Jauniaux; 7. Implantation is a sticky situation Olga Genbacev, Akraporn Prakobphol, Russell A. Foulk and Susan J. Fisher; 8. Trophoblast regulation of maternal endocrine function and behaviour E. B. Keverne; 9. Molecular signalling in embryo-uterine interactions during implantation S. K. Dey and Susanne Tranguch; 10.Trophoblast and pre-eclampsia C. W. G. Redman, I. L. Sargent and E. A. Linton; 11. Trophoblast and uterine mucosal leukocytes Ashley Moffett; 12. Immunology of trophoblast: a reappraisal Charlie Loke.